A daylong workshop titled ‘Do not sell, inspire’ was held at private Chittagong Independent University (CIU) recently. Marketing department of the university organised the workshop at its auditorium. Radio Foorti Chattogram Station Chief Muntasir Hossain was the keynote speaker at the workshop presided over by Management department Chairman Dr Roboka Shamser. 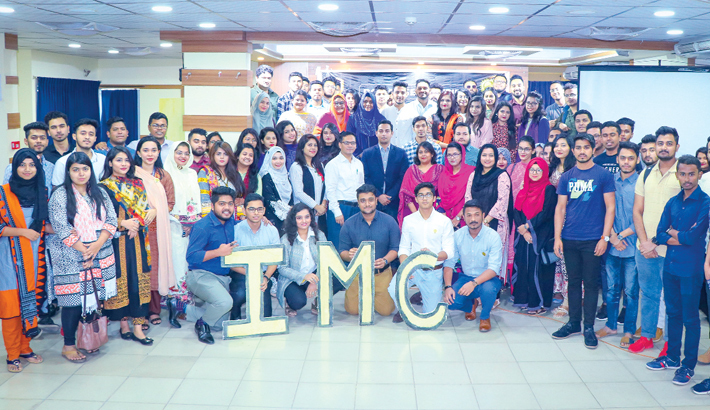 CIU Human Resources Management department Chairman Dr Mosleh Uddin Chowdhury Khaled, Business School Lecturers Sayeed Hasan, Tamanna Jaman and the radio’s Chattogram Chief Executive Officer (Sales) Ehsan Ullah were present at the programme among others. Muntasir Hossain said an advertisement is a story which will bite unconscious mind of buyers to buy the products. He observed that all aspects of a family will have to be put up in an advertisement. Apart from ensuring standard quality of product, eye-catching presentation is one of the major factors to woo buyers, observed Muntasir. Roboka Shamser hoped that the workshop will help students in the field of job after completion of their higher study.